Glen Campbell, the boyish singer-guitarist whose perfect blend of country and pop made for such hits as “Gentle on My Mind,” “Rhinestone Cowboy,” “Wichita Lineman” and “By the Time I Get to Phoenix,” died Tuesday (Aug. 8) after struggling with Alzheimer's disease for years, a rep confirmed to Billboard. He was 81. "It is with the heaviest of hearts that we announce the passing of our beloved husband, father, grandfather, and legendary singer and guitarist, Glen Travis Campbell, at the age of 81, following his long and courageous battle with Alzheimer's disease," reads a statement from the family. "Glen is survived by his wife, Kim Campbell of Nashville, TN; their three children, Cal, Shannon and Ashley; his children from previous marriages, Debby, Kelli, Travis, Kane, and Dillon; ten grandchildren, great- and great-great-grandchildren; sisters Barbara, Sandra, and Jane; and brothers John Wallace “Shorty” and Gerald. 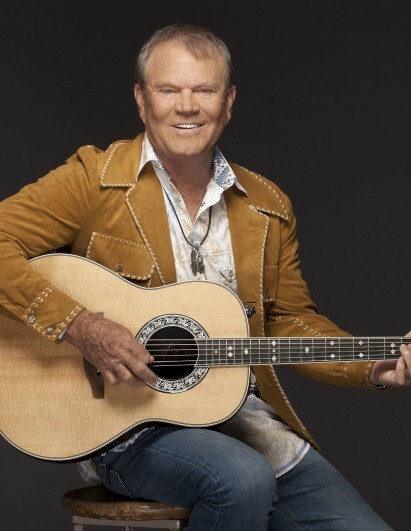 In lieu of flowers, donations can be made to the Glen Campbell Memorial Fund at BrightFocus Foundation through the CareLiving.org donation page. A personal statement from Kim Campbell will follow. The family appreciates your prayers and respect for their privacy at this time." Campbell announced he was ill in June 2011 and was moved to a private care facility for Alzheimer’s and dementia patients near Nashville in April 2014. In addition to “Wichita Lineman” and “By the Time I Get to Phoenix,” Campbell scored with another Jimmy Webb penned hit, “Galveston. ” His renditions of Larry Weiss’ “Rhinestone Cowboy” and Allen Toussaint’s “Southern Nights” each made it to No. 1 on the Billboard Hot 100. In paving a path for other successful country crossover artists, Campbell released more than 60 studio albums -- selling 45 million and accumulating 12 gold, four platinum and one double-platinum album -- during his half-century in show business. He collected six Grammy Awards, including Album of the Year in 1968 for By the Time I Get to Phoenix, and was the recipient of the organization’s Lifetime Achievement honor in 2012. 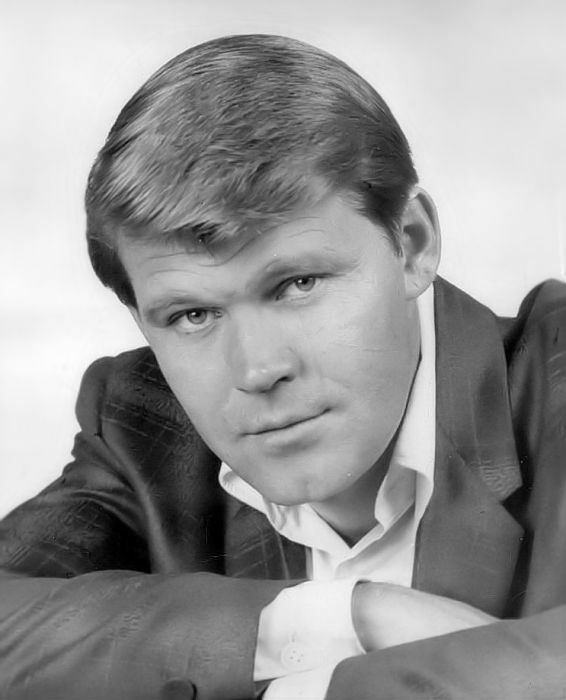 From 1969-72, the Delight, Ark., native hosted the CBS variety show The Glen Campbell Goodtime Hour, and he starred as young Texas Ranger La Boeuf in True Grit (1969) after being handpicked by John Wayne to star opposite him in the Hollywood icon’s lone Oscar-winning role. He also sang the Oscar-nominated title track, composed by Elmer Bernstein and Don Black. 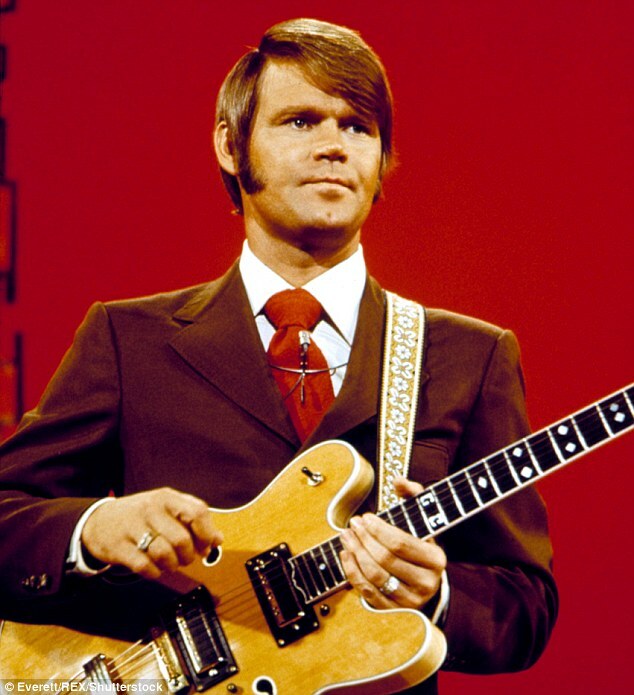 Born on April 22, 1936, to poverty-stricken parents Wesley and Carrie Dell, who picked cotton on a farm, Glen Travis Campbell was the seventh son, one of 12 siblings. In 1961, Campbell released the single “Turn Around, Look at Me” on tiny Crest Records, grabbing the attention of music executives. A year later, he was signed to Capitol Records, where his career was met with only minor success until he partnered with producer Al De Lory and songwriters Webb and Hartford. Campbell teamed with De Lory on his fifth studio album Burning Bridges, a commercial breakthrough that was released by Capitol in 1967. His distinctive fingerpicking style and indelible guitar riffs were the perfect foundation that allowed his warm, personable vocals to shine, with the title track becoming a No. 18 Hot Country Songs hit. The two collaborated on John Hartford’s “Gentle on My Mind” that year, a top 40 hit on the pop and country charts. Campbell’s biggest accomplishments came when he partnered with Webb in the late ’60s -- interpreting and singing his songs with a striking intimacy that made them his own. “On certain songs, the magic is undeniable: ‘Wichita Lineman’ and ‘By the Time I Get to Phoenix’…. it’s almost as though the song was waiting for the singer and the singer was waiting for the song,” Webb once said. On The Glen Campbell Goodtime Hour -- which began as a summer replacement for The Smothers Brothers Show and featured Steve Martin and Rob Reiner as writers and “Gentle on My Mind” as its theme song -- the clean-cut Campbell engaged in comedy skits when he wasn’t performing and featured many of his friends as musical guests, including The Monkees, Neil Diamond, Linda Ronstadt, Johnny Cash, Merle Haggard, Willie Nelson and Waylon Jennings. He also starred as the title character in the 1970 film comedy Norwood, playing opposite NFL quarterback Joe Namath as Vietnam veterans returning home to Texas. And in 1982, he fronted the syndicated Glen Campbell Music Show for NBC. Campbell also played host to the Los Angeles Open, the PGA Tour’s stop at Riviera Country Club, from 1971-83, and in 1994 he opened the 2,200-seat Glen Campbell Goodtime Theatre in Branson, Mo. Campbell had five sons and three daughters. His youngest children Cal, Shannon and Ashley joined him as his backup band on his last series of concerts, dubbed The Goodbye Tour, which launched in Los Angeles in late 2011. “He'll struggle with a guitar solo one day and the next he’ll just nail it completely,” Ashley told the Tampa Bay Times about her father’s deteriorating condition. She played banjo and keyboards, with Cal on drums and Shannon on guitar alongside their dad. Campbell’s family and friends created an undeniable bond while sharing his musical legacy one last time. Director and friend James Keach captured these precious moments along with his personal struggle with the disease in the documentary, Glen Campbell … I’ll Be Me, which premiered at the 2014 Nashville Film Festival. Complications and struggles with Alzheimer’s didn’t stop him from jumping up on a stage, guitar in hand, and serenading fans during his final shows. Campbell fumbled lyrics, searched for guitar riffs and showed moments of confusion telling his stories, but with his children and wife by his side, they gently reminded him along the way. Campbell released the albums Ghost on the Canvas in 2012, which USA Today called “a museum-quality masterpiece,” and See You There, an album for Surfdog Records that was produced by Dave Kaplan and Dave Darling, in 2013. For the latter, he performed such hits as "Rhinestone Cowboy" with a stripped-down feel.